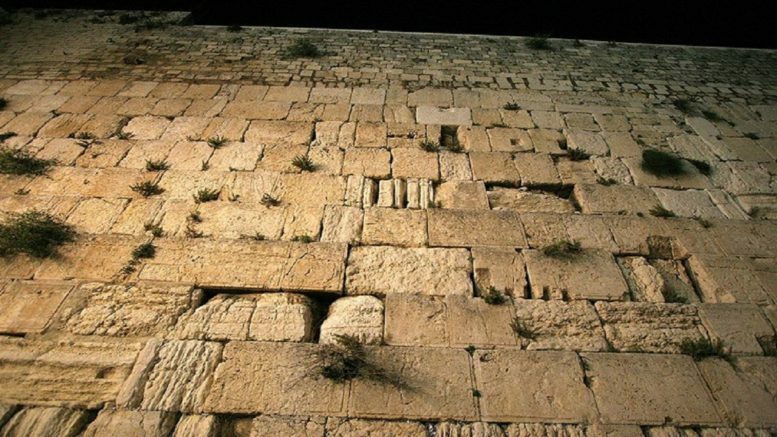 Tonight marks the start of Yom Yerushalayim (Jerusalem Day), commemorating Jerusalem’s reunification in 1967 when it was acquired in a defensive war in 1967 from Jordan. Jerusalem today has a rich culture which reflects its history – as captured by Ilan Wittenberg. That history is portrayed differently by different groups today so, in honour of Yom Yerushalayim, we present a depiction of Jerusalem from the early 19th century. A man named George Robinson travelled in then Palestine and Syria in 1830, with his book Travels in Palestine and Syria being published in 1837. It is a fascinating look at the Holy Land and its residents back then – 30 years before Theodor Herzl was even born and at a time when the land was ruled by the Ottoman Empire. Part of the book deals with Robinson’s description of Jerusalem. On pages 116-117, Robinson describes Jerusalem as a practical ghost town and “expiring city.” Note how he also refers to the “Musselmen”, the term used for the Muslims (not “Palestinians,” a term invented much, much later). On page 118 he describes the Jewish quarter, which is referred to by its Muslim name Harat-el-Yahoud, and refers to the site of the ancient temple. The Mussulman portion, as in all sacred cities, are distinguished for their intolerance and fanaticism, and on this account the traveller should be on his guard, and respect their prejudices. On page 120, like other authors have done, he speaks of the Jews’ devotion to their land. While on page 122, he describes the scene of Jews praying at the Western Wall. This post has been adapted from that of Israellycool.